The Kolkata Knight Riders (KKR) vs Royal Challengers Bangalore (RCB) live streaming will be available online on the following web portals. You can watch live cricket match today online on Hotstar, AirTel TV app and Jio TV. Also, RCB v KKR IPL 2018 telecast /broadcast will be live on Star Sports 1/HD, Star Sports Select 1/HD [English commentary]. The Hindi commentary (ball by ball updates) will be provided on Star Sports 1 Hindi/HD. Kolkata has won the toss and now, they will bowl first to Bangalore. This is the third game of the Indian Premier League season 11 tournament and will be played at the Eden Gardens stadium located in Kolkata itself. All the home matches will be played here. Dinesh Karthik is leading the Kolkata side this time while Virat Kohli is once again the captain of Bangalore team. The Eden Gardens had been popular among the players of India and fans for a long time. However, it’s not so big (area wise) that Karthik would worry to chase the target. The toss has taken place and KKR has won it. After winning the toss, KKR has decided to bowl first against RCB. Kolkata side has got Lynn, Russell, Narine, and Johnson in form of foreign players. On the other side, Bangalore’s top four include McCullum, Kohli, De Kock, and De Villiers. Kolkata will miss its Australia pacer Mitchell Starc who has given rest due to injury in right shin. So, fellow Aussie Mitchell Johnson will fill the void. The IPL t20 match of RCB v KKR will start at 8 pm IST. England all-rounder Tom Curran has been called in for Starc’s replacement. The team has great hopes from Lynn to deliver some good runs. In the last season, Lynn scored 295 runs at a strike rate of 180.98. Along with Lynn, Karthik will have expectations from vice-captain Robin Uthappa as he has been consistent for the team. 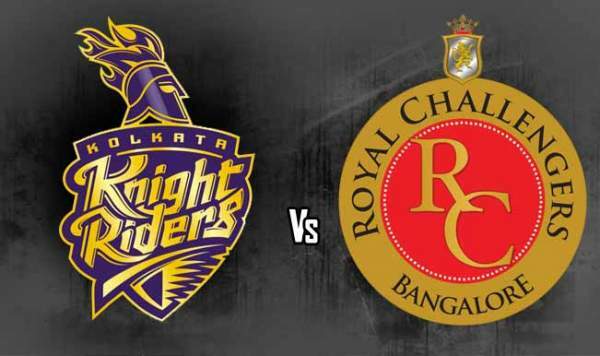 Come back for Kolkata knight riders vs royal challengers bangalore live streaming, video highlights, man of the match, full scorecard/scoreboard.